The dialogue regarding the Ecumenical Patriarchate of Constantinople granting autocephaly to the Ukrainian Church and the appointment of its exarchs to Ukraine for this purpose, has resulted in opposition from the Moscow Patriarchate and their break in concelebrating with the hierarchs of the Ecumenical Patriarchate, has recently been one of the main topics of conversation that do no cease in Ukrainian society and Media. There are a lot of rumors and incompetent comments. 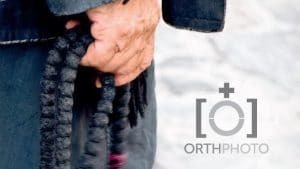 In order to hear firsthand what is actually happening, we turned to a direct participant in this process – the renowned Orthodox theologian and hierarch of the Patriarchate of Constantinople, Archbishop Job (Getcha) of Telmessos (Geneva, Switzerland). He was born in 1974 in Montreal, Canada, in a Ukrainian emigrant family. Doctor of theology, professor of the Institute of Superior Studies of Orthodox Theology at the Orthodox Centre of the Ecumenical Patriarchate in Chambésy and of the Catholic University of Paris (France), permanent representative of the Ecumenical Patriarchate at the World Council of Churches in Geneva, co-chair of the Joint International Commission on Theological Dialogue between the Orthodox and the Roman Catholic Churches. 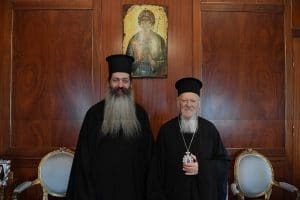 With the blessing of the Ecumenical Patriarch Bartholomew, he was one of the main spokesmen of the Holy and Great Council of the Orthodox Church in Crete from 19 to 26 June 2016. He is fluent in six languages: English, French, Greek, Ukrainian, Russian and Italian. He is deeply knowledgeable in Ukrainian church history. He defended his doctoral dissertation on the topic “Liturgical reform of Metropolitan Cyprian of Kiev (1330 – 1406 AD)”. 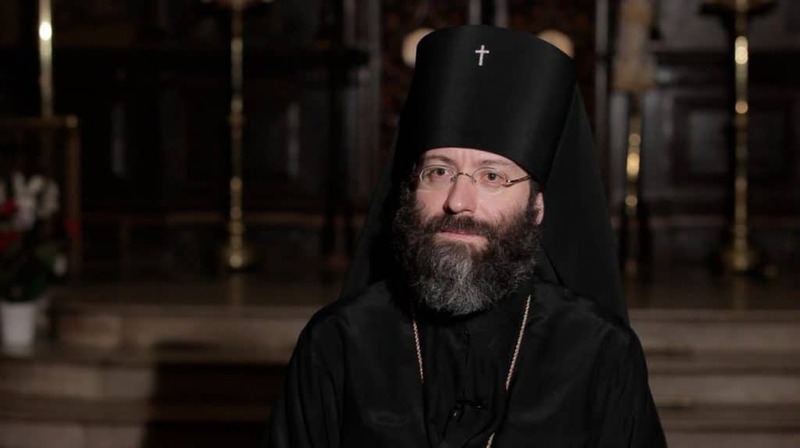 – Vladyka Job, as is known, the Ecumenical Patriarchate has decided to send their representatives (exarchs) to Ukraine to negotiate with representatives of various Ukrainian Churches regarding the possible granting of autocephaly. However, the Synod of the Moscow Patriarchate took such an extremely critical step, stating that it was an “illegal invasion of the canonical territory” of Moscow, and even declared a cessation of concelebration with the Ecumenical Patriarchate. Would you please comment on the truthfulness of Moscow’s statements? 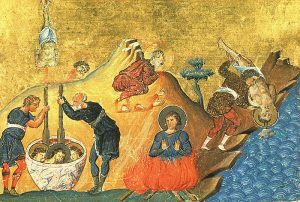 Was the decision of the Ecumenical Patriarchate really unlawful and non-canonical? Archbishop Job: I would like to immediately reassure everyone that no “intrusion into foreign canonical territory” had been intended nor had been made. And what’s more, it’s not about creating a split or its legitimization. 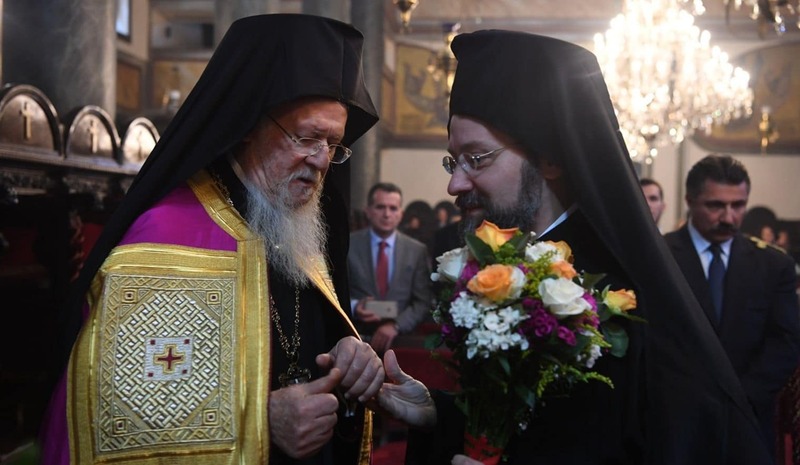 On the contrary, as the Ecumenical Patriarch Bartholomew has repeatedly stated, the Church of Constantinople, as the Mother Church, seeks to find the most optimal canonical ways to cure and overcome the existing ecclesiastical schism in Ukraine. It was for this purpose that the representatives (exarchs) of the Ecumenical Council were appointed to start a dialogue and search for such possible ways. For the state of division that has existed in the Ukrainian Church for almost 30 years is not natural. Thousands of Orthodox parishes and millions of Orthodox believers in Ukraine through this schism all this time are outside the unity with the Universal Orthodox Church, deprived not only of the Eucharistic unity with their Orthodox brethren in faith, but also deprived of the most important thing – salvation in the bosom of the canonical Church. Of course, this cannot cause anything but pain and anxiety in the Mother Church. All these years, the Church of Constantinople, with pain, watched her daughter, the Ukrainian Church, suffering from internal division. At the Ecumenical Patriarchate, we hoped that this problem would be cured by internal means and forces, constantly praying for this and never praying without forgetting the long-suffering Ukrainian Orthodox people. But the events of the last 30 years, and especially after 2014, clearly testify that the internal forces of the Orthodox Church in Ukraine cannot alone overcome the problem of the schism and unite, as it is hindered by external political factors and influences, in particular, by the neighboring Russian state. And for the latter, apparently, the most important thing is not the promotion of the unification of the Ukrainian Church, but the preservation through the Church of its political influence in Ukraine. Here we see other goals whose achievement requires the use of other means. Probably because of this the Orthodox Church in Russia, under the influence of some political factors, is not able to ensure the unity of the Orthodox faithful of Ukraine, does not seek to dialogue with those who for some reason are outside the canonical church borders, and therefore does not seek to find the best means of the canonical economy for the return of these faithful in the bosom of the Universal Church. The latest statements of the Synod of the Moscow Patriarchate only confirm the latter. For now, for the sake of their own political ambitions, they went not only to break off from part of the Orthodox flock in Ukraine, but also broke from Universal Orthodoxy. It is very dangerous, sad and unpleasant. This is a non-canonical way, which does not serve to heal the schism, but on the contrary, grows the split and the schism. 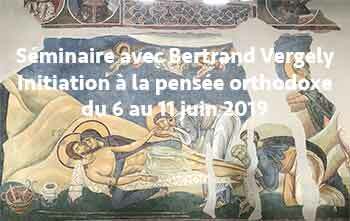 We hope that this hasty and non-canonical decision of our Russian brothers will be canceled and that the dialogue will be restored, because it is impossible, as a result of political ambitions, to split and break the Body of Christ. At the same time, in this situation, the Ecumenical Patriarchate, as the Mother Church, is more than obliged to be with its Orthodox sons and daughters in Ukraine, who for almost 30 years have been constantly asking them to give them a canonical shelter and to help them overcome the schism. This is her direct canonical duty, as Mother Church. It is precisely this concern for the destiny and salvation of the Ukrainian Orthodox flock that led to the last decisions of the Ecumenical Patriarchate regarding the appointment of its legates (exarchs) to Ukraine, which would help to start an effective dialogue on-site between the various parts of the so far divided Orthodox Church in Ukraine. – Can you please comment on the decision of Constantinople to appoint its own exarchs in Ukraine from a historical and canonical rationale? Have there already been such canonical historical precedents? And if yes, is this not “an invasion of another’s canonical territory”? Archbishop Job: Immediately, in order to remove all speculation about artificial accusations in “invading another’s canonical territory,” I note that the territory of Ukraine has never been a canonical territory of any other Local Orthodox Church, except the Ecumenical Patriarchate. The Metropolis of Kiev was canonically and historically, since its foundation in the days of the first Kievan Christian princes Askold, Olga and Vladimir, and more than 700 years later, was a metropolis of the Ecumenical Patriarchate. And even after the transfer of part of the Kievan throne to the Russian territories under the temporary care of the Moscow Patriarchs in 1686, Ukraine always remained a canonical territory of the Constantinopolitan Church. Regarding the historical precedents of the appointment of exarchs of the Ecumenical Patriarch to Ukraine, history can provide many examples. In order to not go too far, we may turn to the close 20th century. Since the lands of Galicia and Transcarpathia were still considered to be the canonical territory of the Ecumenical Patriarchate at the beginning of the 20th century, the Metropolitan of Kiev, Anthony (Khrapovitsky), a member of the Synod of the Russian Church, for the purpose of exercising care over the Orthodox flock in these Ukrainian lands, wrote requesting the permission and blessing of the Ecumenical Patriarchs, and even requested for this purpose to give him the title of Exarch of the Ecumenical Patriarch in Galicia and Transcarpathia. And with this title of the Exarch of the Ecumenical Patriarch in Galicia and Transcarpathia, this Russian hierarch was endowed with the Charter of Ecumenical Patriarch Ioakim III in 1910. Later, this title of the Exarch for him was confirmed by Ecumenical Patriarch Germanos V (1913 – 1918). Consequently, at the beginning of the 20th century the Russian Church itself requested the appointment of its bishop as the Exarch of the Ecumenical Patriarch in the Ukrainian lands, and then it did not consider it “an invasion of another’s canonical territory.” Therefore, it is not clear on what basis now the Synod of the Orthodox Church in Russia has changed its position and is trying to deny the Mother Church the right to appoint exarchs to the lands that historically and canonically have been the canonical territory of the Ecumenical Patriarchate? It should be added here that the institution of exarchs (legates) of the Ecumenical Patriarch in Ukraine has long been a well-established tradition. When, in 1596, part of the episcopate, led by the Metropolitan of Kiev, fell into a split from the Church of Constantinople and became united with Rome, then two bishops, Gedeon of Lviv and Michael of Peremyshl, remained faithful to Orthodoxy and to the Ecumenical Throne. Consequently, Ecumenical Patriarch Meletios (Pegas) appointed Bishop Gedeon (Balaban) of Lviv as his Exarch in Ukraine and locum tenens of the Metropolis of Kiev. 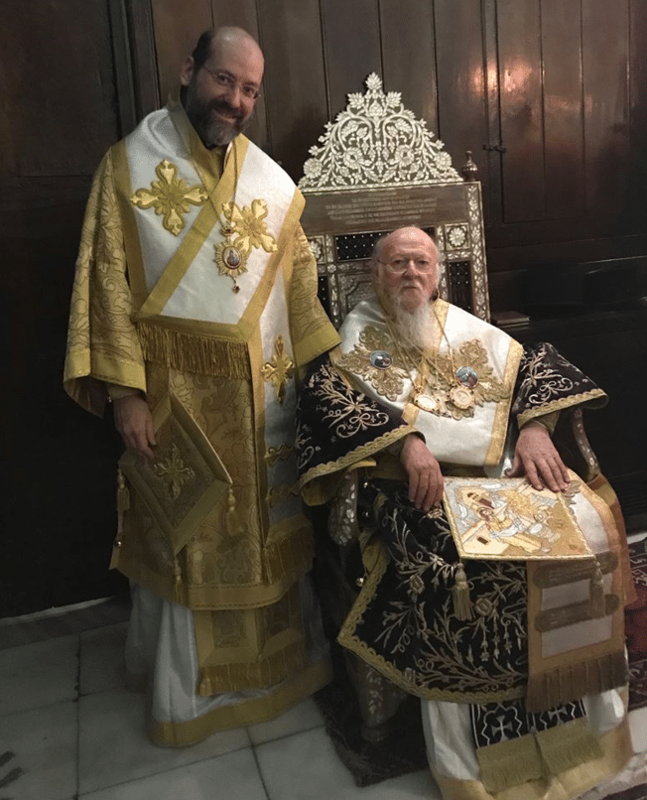 At the same time, Archdeacon Nikiphoros (Kantakouzenos) was also appointed as Exarch of the Ecumenical Patriarch and he presided at the anti-union Orthodox Council in Brest and contributed to the preservation of the Orthodox Church in Ukraine. For this he was accused by the unionist bishops and the Polish authorities of espionage in favour of Turkey, which was why he was imprisoned in the Malbork Castle, where he died in 1599. In 2001, the Synod of the UOC (MP) glorified this Exarch of the Ecumenical Patriarch as a holy martyr. Therefore, we have not only historical precedents for the appointment of the Exarchs of the Ecumenical Patriarch in Ukraine, but also have revered saints among them. Another well-known Exarch of the Ecumenical Patriarch in Ukraine was the successor of Gedeon (Balaban) on the throne of Lviv – Bishop Jeremiah (Tysarovsky, +1641). Together with the title of Bishop of Lviv, Jeremiah inherited from Gedeon the title of the Exarch of the Ecumenical Patriarchate and the post of the locum tenens of the Kiev metropolitan throne. From 1610, he remained the only Orthodox bishop in the Commonwealth for 10 years, until 1620, when the patriarch of Jerusalem, Theophanes III, with the blessing of the Ecumenical Patriarch, restored the Orthodox hierarchy in Ukraine and ordained a new Metropolitan of Kiev, Job (Boretsky). Since that time, the Orthodox Metropolitans of Kiev have been consistently bearing the canonical title of the Exarch of the Ecumenical Patriarch, which they were still obliged to bear after the temporary transfer of the Metropolis of Kiev in 1686 under the temporary care (administration) of the Moscow Patriarchs. Incidentally, in addition to the rights of the Exarchs, the Ecumenical Patriarchs also granted, at that time, a whole range of Ukrainian monasteries and brotherhoods the status of stavropegic, that is, they were transferred into direct subordination to the Ecumenical Throne. In particular, the stavropegic monasteries of the Ecumenical Patriarchate in Ukraine included the Kievan Caves Lavra (since 1589), the Lviv Dormition Brotherhood (since 1589), the Kyiv Theophany Brotherhood (from 1620), the Manyava Skete (from 1620), the Lutsk Brotherhood of the Elevation of the Cross (since 1623). 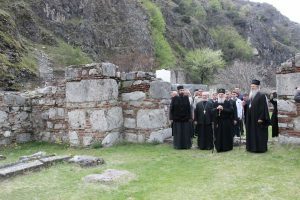 These Acts of the Mother Church concerning the patriarchal stavropegic monasteries in Ukraine have not been abolished. 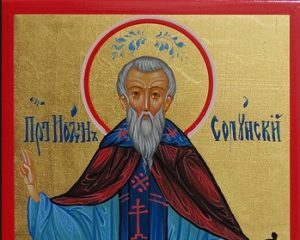 – Thank you, now it is clear that the appointment of the Exarchs in Ukraine is the canonical and historical prerogative of the Patriarchs of Constantinople. But how did all this look after 1686? Is it true that after this date that the territory of Ukraine was not the “canonical territory of the Moscow Patriarchate”? Archbishop Job: That’s right. Ukraine was and remained, even after 1686, the canonical territory only of the Ecumenical Patriarchate. After Left-bank Ukraine joined the Moscow State in the middle of the 17th century, the Kievan Church was divided into parts between different rival countries (Russia, Poland and Turkey), which is was why they could not choose a single Metropolitan for a long time in Kiev. In this difficult situation, the Ecumenical Patriarch, in order not to leave the entire Ukrainian flock without archpastoral care, part of the Kievan Church in the territories subordinate to Russia were transferred to the Moscow Patriarchate in 1686 for temporary guardianship, in order to help him put a metropolitan in Kiev and bishops in the other dioceses of Left Bank Ukraine (Cossack Hetmanate). At the same time, the principle requirement was that the Metropolitans of Kiev continued to remain autonomous from Moscow as Exarchs of the Ecumenical Patriarch and that they would commemorate his name without exception at all divine services. That was in no way the transfer of the Metropolis of Kiev under the authority of the Moscow Patriarchs. For such a transmission would be anti-canonical, since in the letter of establishment of the Moscow Patriarchate the limits of canonical influences of the Moscow Patriarchs were recognized at the borders of the Moscow State in 1589. And these limits did not in any way include the Kievan Metropolis, which included, under the omophorion of the Ecumenical Patriarchate, Ukraine, Belarus, Lithuania and Poland. It was similar to that, as in 66 years before, in 1620, with the blessing of Patriarch of Constantinople, Timothy II, the Patriarch Theophanes III of Jerusalem ordained an Orthodox Metropolitan and Bishops in Kyiv, namely, he restored the Orthodox hierarchy in Ukraine. But at the same time, we do not say that since that time the Metropolis of Kiev became dependent on the Patriarchate of Jerusalem. The same was the case in 1686. Because in Constantinople it was not possible to think that in the Moscow Church, the daughter would violate the agreements and try to force the abolition of the canonical jurisdiction of the Constantinople Mother of the Church in Ukraine. Because of this, after the collapse of the Russian Empire, the Ecumenical Patriarchate, with a separate tomos in order to provide autocephaly to the Church of Poland on 13 November 1924, was forced to declare the act of 1686 non-canonical and ineffective. – And was it easy to subordinate the part of the Kievan Church to the Russian Church? Archbishop Job: These actions have stumbled upon the opposition of the Ukrainian Orthodox clergy. Suffice it to mention such prominent Ukrainian hierarchs as Sylvester Kosov, Joseph Nebulovich-Tukalsky, Barlaam Yasinsky, Ioasaph Krokovsky, Barlaam Vonatovich, Theophylact Lopatinsky, Arseny Matseevich, Barlaam Shyshatsky, and many others who suffered a lot from the non-canonical actions of the Russian government and the leadership of the Russian Church. By the way, within the limits of the Left Bank of Ukraine (Hetmanate), just after the events of 1686, an internal ecclesiastical movement has gained new force, known as the “wandering” or “wild priests”. Its essence was that Ukrainian Orthodox parishes on the Left Bank, not wanting to recognize the authority of the Moscow Patriarchate, invited priests ordained in the jurisdiction of the Ecumenical Patriarchate to serve them in the Right Bank Ukraine or in Moldovo-Wallachia. Throughout the entire XVIII century, the Russian secular and ecclesiastical administration brutally persecuted this movement and its representatives, capturing and imprisoning the so called “non-canonical” priests. But despite this until the end of the XVIII century, believers from the left bank of Ukraine went to Moldo-Wallachia for a priestly ordination from the bishops of the Ecumenical Patriarchate, escaping the Russian Synodal Administration at risk to life. And the hierarchs of the Ecumenical Patriarchate did not actually deny the Orthodox faithful from the left-bank Ukraine in such requests. There is a very little-known fact: in 1724, Georges, the Metropolitan of Iasi, along with other Moldavian bishops of the Ecumenical Patriarchate, without the consent of the Russian Synod, ordained as of Bishop Chygyryn Archimandrite Epiphanius, assistant and chief of the office of the Kiev Archbishop Barlaam (Vonatovych). In the decree presented by Epiphanius, written on behalf of Archbishop Varlaam and addressed to the Moldovan Metropolitan of the Ecumenical Patriarchate, the dissatisfaction of Ukrainians was emphasised concerning the withdrawal of the Kievan Metropolitanate from the jurisdiction of Constantinople, the introduction of the “Spiritual Regulation” [of Peter the Great] and of the synodal administration [of the Russian Church], as well as the demise of the Kiev Metropolitans to the rank of archbishops. Having received his episcopal ordinaion from the hierarchs of the Ecumenical Patriarchate, the bishop of Chygyryn returned to Ukraine, where he deployed his activity and ordained 14 priests and deacons. He was repeatedly imprisoned by the Russian authorities, but each time he fled from prisons. It is known that he served within the territories controlled by the Zaporozhian Cossacks. During his additional exile to Siberia in 1733, bishop Epiphanius, wrapped in chains, was taken away from the guard by the Russian Cossacks, the Old Believers, and hid in Gomel oblast, in Vietka. However, in February 1735, Russian troops, on the orders of the Empress Anna Ivanovna, surrounded Vietka, and Bishop Epiphanius was again arrested. He died in the prison of Kiev fortress on April 1 of the same year and was buried near the church of St. Theodosius in the Fortress of the Kiev Caves Lavra. Another interesting fact was that during 1759 in the Zaporozhian Sich, the Bishop of Melitene Anatole (Meles) acted as an independent bishop of the Ecumenical Patriarch Cyril V. With the support of the Zaporozhian Cossacks, and without the permission of the Russian Synod, he headed Zaporozhian churches during a whole year and commemorated the Ecumenical Patriarchs. For this he was imprisoned by the Russian authorities and exiled to Siberia, where he was sentenced for about 9 years. According to many researchers, bishop Anatole (Meles) tried to create a separate autonomous Cossack diocese in Zaporozhye under the omophorion of the Ecumenical Patriarchate. – It is very interesting. Yet you said that in 1686, only the part of the Kievan Church in the territories of the Russian territories was transferred to the Moscow Patriarchate under the guardianship (patronage). And what about other Ukrainian lands that were not part of the Russian state? Archbishop Job: That’s right. And this is a very important point, which for some reason everyone forgets when talking about the act of 1686. After all, after the transfer of a part of the see of Kiev in the Russian territories to the temporary administration of the Moscow Patriarchs, in other territories of Ukraine, which were not part of the Moscow state, the Orthodox parishes and monasteries continued to remain under the omophorion of the Ecumenical Patriarchate. That is, the act of 1686 concerned the Ukrainian territories of the Hetmanate, which were temporarily part of the Russian state, but had no canonical influence on other Ukrainian territories, in particular, Transcarpathia, Bukovina, Podolia, Galicia, Volynia, Khan’s Ukraine in the south and Crimea. All these territories continued to remain under the canonical omophorion of the Ecumenical Patriarchate. Archbishop Job: Yes. In fact, after 1686, much more Ukrainian lands remained under the direct jurisdiction of Constantinople. Thus, in particular, the diocese of Lvov did not recognize the transition to the temporary administration of the Moscow Patriarchs. Since 1675, the Orthodox Archbishop of Lvov was appointed administrator of the Metropolis of Kiev and of the archimandria of the Kiev Caves Lavra under the omophorion of the Ecumenical Patriarchate. After 1686, the diocese of Lvov remained in the canonical jurisdiction of the Ecumenical Patriarchate. This status was lost after 1700 when the Archbishop of Lvov Joseph Shumlyansky under the pressure of the Polish authorities switched to the union with Rome and thus the Orthodox diocese of Lvov remained vacant. Under the direct jurisdiction of Constantinople retained the Lvov Stavropegic Brotherhood until 1708, when it was forced to accept the union with Rome. However, even after that, the Orthodox parishes and monasteries in Galicia remained in the jurisdiction of the Ecumenical Patriarchs, and were temporary administered by the Bukovinian metropolitans, who were also part of the Ecumenical Patriarchate. The most famous monastery and the center of Orthodoxy in Galicia and Subcarpathia was the Great Maniava Skete, whose brothers remained loyal to the Ecumenical Throne until its violent liquidation in 1785 (that is, 100 years after the events of 1686). It is worth mentioning another important fact. On June 15, 1791, the Local Council of the Orthodox clergy and believers from Western Ukraine, Belarus, Lithuania and Poland, which became known as the Pinsk Congregation, was held in Pinsk on the territory of the Monastery of the Theophany. 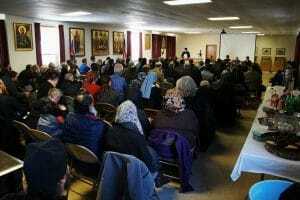 The Pinsk Council was attended by 103 delegates from the Orthodox clergy, monasticism and laity. 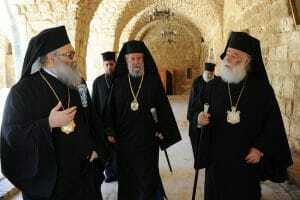 It approved a decision to restore autonomy under the omophorion of the Ecumenical Patriarchate. The hegumen of Bielsk, Sava (Palmovsky), was elected interim head of the Pinsk congregation. It was planned to convene a synod, which would consist of one archbishop with the prerogatives of a metropolitan and three bishops. Also, the “permanent and basic norms and rules of organization” of the Orthodox Church in the Polish-Lithuanian Commonwealth were developed as an autonomous ecclesiastical jurisdiction that did not depend on the Russian Synod and recognized the jurisdiction of the Ecumenical Patriarch. At a meeting on May 21, 1792, by a majority of votes (123 votes for, 13 against), the Polish Sejm approved the constitution proposed by the Pinsk Congregation for a draft of a new organization of the Orthodox Church in the Commonwealth, which was endowed with great rights and freedoms in the state. However, because of the two new divisions of the Commonwealth and the elimination of the Polish state, the Pinsk Local Council and the Act of May 21, 1792, had practically not been implemented in practice. It is important to emphasize that Orthodox Ukrainians in Bukovina, Transcarpathia and Galicia for a long time remained under the auspices of the Ecumenical Patriarchate. These lands became part of the Moscow Patriarchate only in the middle of the twentieth century during the Soviet occupation of Western Ukraine, and their subjection by force to Moscow was never recognized by the Ecumenical Throne. – And you have already mentioned the jurisdiction of Constantinople within the boundaries of “Khan’s Ukraine” and the Crimea. Can you tell a little more about this? Archbishop Job: Yes. In Crimea there existed ancient metropolis of Gothia and Kapha until the end of the 17th century, under the Ecumenical Patriarchate. They were composed of Orthodox Greeks, Bulgarians, Ukrainians and other nationalities of Crimea and the Black Sea. They were liquidated by the Russian government in 1788 after the annexation of the Crimean Khanate. However, the Ecumenical Patriarchate has never recognized the legality of their subordination to the Russian Synod and the elimination of these historic Metropolises in Crimea. In addition, the jurisdiction of the Ecumenical Patriarchate was invariably extended to Ukrainian Bukovina and the southern (the so-called “Khan”) part of Ukraine, which was officially then under the protectorate of the Crimean Khanate and the Ottoman Empire. Even Hetman Petro Doroshenko tried to form a Ukrainian state under the protectorate of the Ottoman sultans, as it was in Moldo-Wallachia. His associates were Metropolitan Joseph (Nielubovich-Tukalsky), who advocated the preservation of the Kievan Metropolis in the jurisdiction of the Ecumenical Patriarchate. As a result of Hetman Doroshenko’s attempts at the Treaty of Buchach in 1672, the entire territory of the Eastern and Western Podolia (from Buchach to Bratslav) withdrew from Poland. In the territory of Ukrainian Podolia, from 1672 to 1699, there was the Podolsky or Kamianetsky Eyalet (from the Ottoman Turkish for province or governate) within the Ottoman Empire with an administrative centre in Kamianets (now Kamianets-Podilsky). After the death of Metropolitan Joseph (Nielubovich-Tukalsky), Ecumenical Patriarch Jacob nominated Metropolitan Pankratius for the city of Kamenets in August 1681, thus establishing the Metropolis of Kamianets as part of the Ecumenical Patriarchate (which existed until 1699). Later, the boundaries of Khan Ukraine (Ottoman Ukraine) included Ukrainian lands between the Dnieper and the Dniester, to which the protectorate of the Crimean khans and the Ottoman sultans spread. These lands were nominally part of the Ottoman Empire, and there were even no Ottoman settlements, except for some towns in the south. After the defeat of Ivan Mazepa in the struggle for Ukraine’s independence and the destruction of the Zaporozhian Sich by Peter I, during the period of 1711-1734, within the boundaries of Khan Ukraine, under the patronage of the Crimean Khan in the tract of Oleshka, opposite the modern city of Kherson, the new Zaporozhian Sich (so-called Olekshy Sich), the clergy of which was equally under the Ecumenical Patriarchate. From 1712, the Cossack possessions of the Olekshy Sich spread north to the left tributaries of the Dnieper River – the Orel and Samara rivers. That is, all these areas of modern southern Ukraine not only were not part of the Russian Empire, but also remained in the jurisdiction of the Ecumenical Patriarchate. Therefore, the act of 1686 was not applied to them in any way. The lands of “Khan Ukraine” and Orthodox parishes and monasteries within its borders were part of the Metropolis of Braila of the Ecumenical Patriarchate. Its centre was originally Braila on the left bank of the Danube. From 1751 to 1789, the residence of Metropolitan of Braila became the city of Izmail (now in Odessa Oblast, Ukraine). The Metropolis of the Ecumenical Patriarchate belonged to the land of Dobrudja, Budjaka, Bender, and after the signing of the Buchach Peace Treaty of 1672 – the Diocese of Khotyn and all the Orthodox territories and parishes of Right-Bank and Left-Bank Ukraine under the protectorate of the Ottoman Empire, in particular, Khan Ukraine, Olekshy Sich and the Orthodox communities located on the mainland of the Crimean Khanate. From 1751 to 1773 Metropolitan Daniel of Braila had his see in Izmail and in ecclesiastical documents he signed as “Daniel, by the mercy of God, Metropolitan of Parivlavia, Tomarovsky, Khotyn, the entire coast of the Danube, Dnieper and Dniester, and of all Khan Ukraine.” The title was also preserved by the successors of Daniel: Metropolitans Joachim (1773-1780) and Cyril (1780-1792). This is already 100 years after the 1686 act. After the violent liquidation of Zaporozhian Sich in 1775 by Catherine II, many Cossacks moved to the territories controlled by the Ottoman Empire, where a new Danubian Sich was founded on the banks of the Danube. It lasted until the middle of the 19th century, and its church recognized only the jurisdiction of the Ecumenical Patriarchate. As we see, all these facts testify that the act of 1686 concerned only the Left-bank part of Ukraine, which was then under the authority of Moscow and did not actually apply to other Ukrainian territories. – You said that after the first destruction by the Russian troops of the Zaporozhian Sich in 1709, the Ukrainian Cossacks, which went under the protectorate of the Crimean Khan, returned under the jurisdiction of the Patriarchate of Constantinople. And what about the Ukrainian hetmans Ivan Mazepa and Pylyp Orlyk, who led this first Ukrainian emigration? Archbishop Job: They were among the first to return to the omophorion of the Ecumenical Patriarchate, and the Cossacks with them. Despite the imposition of uncanonical anathemas on Hetman Mazepa by the Russian Church, the representatives of the Ecumenical Patriarchate did not recognize them because they were imposed with political motives as a means of political and ideological repression and had no religious, theological or canonical reasons. So, upon emigration to Bender, Ivan Mazepa freely confessed to Orthodox priests of the Ecumenical Patriarchate. It was they who nurtured him on his deathbed, released him from sins, and then they buried him. His body was laid in the Orthodox church of the town of Varnitsa, which was under the jurisdiction of the Ecumenical Patriarchate, and subsequently reburied in Galati on the Danube, where the local Metropolitan served a funeral service for the Hetman in the central cathedral of St. George’s Monastery. This Metropolitan was a hierarch of the Ecumenical Patriarchate. So, we can say that Ivan Mazepa died as a believer of Mother Church, the Ecumenical Patriarchate! “The current newly elected Hetman, when the Lord God, mighty and strong in the battles, will help … to liberate our Motherland, Little Russia, from the slavish yoke of Moscow, will be bound by duty and put under obligation to take special care that no alien religion is introduced into Little Russia, our Motherland … so that the only faith in the Eastern Orthodox confession, under the obedience of the Holy Apostolic See of Constantinople, was eternally approved … And for the greater authority of the Kievan metropolitan throne, which is foremost in Little Russia, and for a more efficient administration of spiritual matters, the Almighty Hetman should, after the liberation of our fatherland from the Muscovite yoke, obtain from the Apostolic See of Constantinople the original power of an exarch in order thereby to renew relationship with and filial obedience to the aforementioned Apostolic See of Constantinople, from which it was privileged to have been enlightened in the holy universal faith by the preaching of the Gospel”. So, as we see, the Constitution of Hetman Pylyp Orlyk and of the Zaporizhian Host, as the first testament for all successive generations of Ukraine, vowed to return the Metropolis of Kiev to the jurisdiction of the Ecumenical Patriarchate and restore the authority of the Kiev Metropolitans as Exarchs of the Ecumenical Patriarchs. Therefore, there is nothing surprising that today’s Presidents of independent Ukraine have already tried and are trying to fulfill this will by initiating a renewal of dialogue with the Mother Church, the Ecumenical Patriarchate. – And in our time, especially in the 20th century, did the jurisdiction of the Patriarchate of Constantinople extend to some territory of Ukraine? Archbishop Job: Yes, in particular in Transcarpathia. And this is a very important point. After all, Transcarpathia, historically and canonically before the arrival of the Soviet occupation troops in the middle of the 20th century, was canonically part of the Ecumenical Patriarchate’s jurisdiction, and this land was never a “canonical territory” of the Moscow Patriarchate. At the very beginning of the conversation, we already mentioned that, as a member of the Synod of the Russian Church, Metropolitan Anthony (Khrapovitsky), for the purpose of pastoral care of the Orthodox flock in these Ukrainian lands, wrote to the Ecumenical Patriarchs seeking their permission and blessing, and even asked for the title of the Exarch Ecumenical Patriarch in Galicia and Transcarpathia. That is, the synodal Russian Church itself recognized these Ukrainian lands as the jurisdiction of the Ecumenical Patriarchate, and one of its leading hierarchs used the title of the Exarch of the Ecumenical Patriarch in Galicia and Transcarpathia. On the basis of this historical and canononical right concerning the Orthodox dioceses on the territory of Western Ukraine and Western Belarus occupied by Poland, the Ecumenical Patriarchate issued a Tomos on 13 November 1924 granting autocephaly to the Orthodox Church in Poland. This Tomos overturned the act of 1686, which transferred the Kievan throne, for temporary responsibility (administration), to the Moscow Patriarch. The Tomos of the Ecumenical Patriarch of 1924 states that this annexation contradicted the canons and that the Moscow Patriarchate did not comply with the requirements stipulated in the Act of 1686, according to which the Metropolis of Kiev was to maintain its rights of autonomy and its canonical link with the Ecumenical Patriarchate. Thus, the Autocephalous Orthodox Church in Poland (and, in fact, in Western Ukraine and in Western Belarus) was proclaimed as the successor to the historic Autonomous Metropolis of Kiev-Galicia under the Ecumenical Patriarchate. Incidentally, the head of the autocephalous Orthodox Church in Poland, the Metropolitan of Warsaw and all Poland, was considered as the superior of the Holy Dormition Pochaev Lavra. During the German occupation, already in 1941, startng from the Western Ukrainian dioceses under the Orthodox Church in Poland, with the blessing of its Primate, Metropolitan Dionysius (Valedinsky) of Warsaw, according to the decree of 24 December 1941, an “Administration of the Orthodox Church on the liberated Ukrainian lands” was created, headed by its administrator, Metropolitan Polycarp (Sikorsky) of Lutsk, who was a canonical bishop of the autocephalous Orthodox Church in Poland. This administration is often called the “Ukrainian Autocephalous Orthodox Church” (UAOC), but this label is not correct, because it was an extension of the ecclesiastical jurisdiction of the autocephalous Orthodox Church in Poland in the German-occupied parts of the Ukrainian lands, on the assumption that the Church of Poland had received its autocephaly on the basis of the Kievan Metropolis. The locum tenens of the metropolitan throne of Kiev at the time was considered to be Metropolitan Dionysius (Valedinsky) of Warsaw, who was declared as the canonical Primate of the autocephalous Orthodox Church in the territories of Poland, Ukraine and Belarus, recognized by the Ecumenical Throne and other Local Orthodox Churches. Archbishop Job: Here the situation developed a little differently. After the collapse of the Austro-Hungarian Empire, Ukrainian Transcarpathia fell under the control of Czechoslovakia. And Orthodox parishes canonically entered under the jurisdiction of the Ecumenical Patriarchate and for a brief time at the beginning of the 20th century – the Patriarchate of Serbia. On 4 March 1923, the Synod of the Ecumenical Patriarchate, presided by Patriarch Meletios IV, appointed Bishop Savvaty (Vrabets, 1880-1959), a former graduate of the Kiev Theological Academy, as Archbishop of Prague and decided that the Orthodox parishes of Transcarpathia belong to the jurisdiction of the Ecumenical Patriarchate. Since then, the Ukrainian Orthodox parishes of Transcarpathia finally became established under the jurisdiction of the Ecumenical Patriarchate, where they remained until the arrival of Soviet occupation troops. On 9 November 1939, the Exarch of the Ecumenical Patriarch Archbishop Savvaty (Vrabets) informed Archpriest Michael Popov by a letter, stating that he intends to ordain him as a bishop or general vicar for Transcarpathia and Hungary. On 26 September 1940, Archbishop Savvaty (Vrabets) issued a decree according to which Archpriest M. Popov was appointed Administrator of the Orthodox Church in Transcarpathia and Hungary under the jurisdiction of the Ecumenical Patriarchate, and he was also given the title of Protopresbyter. On 5 October 1940, Archbishop Savvaty (Vrabets), in a letter to Ecumenical Patriarch Benjamin, asked to ordain Fr. M. Popov as bishop of the Orthodox Church in Transcarpathia and Hungary under the jurisdiction of the Ecumenical Patriarchate. However, on 30 May 1942, the Germans arrested Archbishop Savvaty (Vrabets) who spent 3 years at the Dachau concentration camp (1942-1945). After his release, he was not allowed by the new occupying (Soviet) administration to perform his duties because he refused to break with the Ecumenical Patriarchate. Until the end of his life he was persecuted and pressured by the communist regime and died on 14 December 1959. 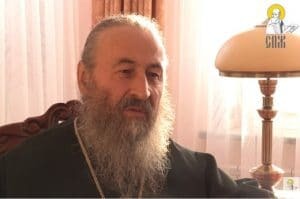 Even more tragic was the fate of the Administrator of the Transcarpathian diocese of the Ecumenical Patriarchate, Protopresbyter Michael Popov. On 13 June 1944, he was arrested by the Nazis on suspicion of baptising Jewish children. At the end of December 1944, Fr. M. Popov was sent to Germany for forced labor, but during his transfer he managed to escape. At the beginning of April 1947 in Budapest, Fr. M. Popov was arrested by the Soviet authorities of the NKVD. On 9 September 1947, he was sentenced to 25 years imprisonment on charges of “anti-Soviet activity”. He was sent to a concentration camp in Vorkuta (Komi ASSR), where he died as a martyr for the faith of Christ. – So, it turns out that the canonical structures of the Patriarchate of Constantinople survived in Transcarpathia until 1946? Archbishop Job: Yes, it was until 1946. And they were forcibly annexed with the help of the NKVD punitive bodies to the Moscow Patriarchate, and those who refused, were repressed and destroyed as martyrs for the faith of Christ. And, importantly, Constantinople has never acknowledged the destruction by the communist regime of the diocese of the Ecumenical Patriarchate in Transcarpathia and its accession to another jurisdiction. This accession was non-canonical and violent. And it was not 300 years ago, but in 1946. An echo of the Transcarpathian region under the omophorion of the Ecumenical Patriarchate is the American Carpatho-Ruthenian Orthodox Diocese, preserved in the USA and Canada to this day and existing within the Ecumenical Patriarchate. It is currently presided by Bishop of Nyssa Gregory (Tatsis). Incidentally, it was the Exarch of the Ecumenical Patriarch, Archbishop Savvaty (Vrabets), who participated, on 19 October 1940, in the cathedral of Chelm, together with the Metropolitan of Warsaw, Dionysius (Valedinsky), in the episcopal ordination of Fr. Ilarion (Prof. I. Ohienko) as the bishop of Chelm and Podlachia, who subsequently went into exile and headed the Ukrainian Orthodox Church of Canada, now under the Ecumenical Patriarchate. Another prominent Ukrainian ecclesiastical figure under the omophorion of the Ecumenical Patriarchate was the Metropolitan of Eukarpia Bogdan (Shpilka, 1892 – 1965). In the 1920’s, he was engaged in teaching activities in Transcarpathia and was ordained there as a priest of the Ecumenical Patriarchate by Archbishop of Prague Savvaty (Vrabets). In 1936, he was elected a bishop of the Ukrainian Orthodox Church in America, which was under the jurisdiction of the Ecumenical Patriarchate. Subsequently, he became a metropolitan, was an author of the Orthodox catechism in Ukrainian and English, and of polemical pamphlets. The UOC-USA, which now operates in North America under the jurisdiction of the Ecumenical Patriarchate, is the successor to the “Administration of the Orthodox Church in the liberated Ukrainian lands” of Metropolitan Polycarp (Sikorsky) and the UOC of America of Metropolitan Bogdan (Shpylka). Another Ukrainian jurisdiction under the omophorion of the Ecumenical Patriarchate is the already mentioned UOC in Canada. So, as we see, the spread of the jurisdiction of the Ecumenical Patriarchate to the Ukrainian Territories and the Ukrainian Diaspora has a direct historical-canonical continuity. Therefore, all the accusations against Constantinople regarding “invasion of another’s canonical territory” are groundless here, since Constantinople has always had its canonical structures in different areas of modern Ukraine from 860 and 988 years, and from 1686 until 1946. Therefore, in principle, not only the act of 1696, but there are also more recent precedents of the spread of the jurisdiction of Constantinople to various territories of Ukraine. – And what can you explain that the Patriarchate of Constantinople has just started to recall that Ukraine has historically been and is its canonical territory? Archbishop Job: This is not quite so. The Ecumenical Patriarchate of Constantinople has emphasized this on many occasions. Another thing is that while Ukraine was not an independent state and was part of the Russian Empire or the communist USSR, it was a futile thing to speak about it. It is another thing when Ukraine gained state independence… Although, in the very Act of 1686, the transfer of the Kievan throne to the temporary care (administration) of the Moscow Patriarchs indicated that the Metropolitans of Kiev should recognize the authority of the Ecumenical Patriarch, commemorate his name at all worship services without exception and remain Exarchs of the Ecumenical Patriarchate. And as already mentioned, the Tomos of the Ecumenical Patriarchate of 13 November 1924 bestowing autocephaly to the Church of Poland, abolished this act of 1686, precisely because this annexation contradicted the canonical rules and the Moscow Patriarchate did not fulfill the requirements stipulated in the Act of 1686. As is well known, only the northeast eparchies of the Moscow tsardom (Muscovy) belonged to the “established by the Patriarchal and Holy Synod in borders of the 1593”, while the dioceses of the Metropolis of Kiev (Ukraine, Belarus, Lithuania and Poland) belonged, with the rights of an extended autonomy, to the jurisdiction of the Ecumenical Patriarchate. That is, in essence, in the letter of Ecumenical Patriarch Dimitrios, it was said that the borders of 1593 left the Metropolis of Kiev in the canonical boundaries of the Ecumenical Patriarchate. This same position was also expressed by the Ecumenical Patriarch Bartholomew at the recent Synaxis of the Hierarchy of the Ecumenical Throne in Constantinople on 1-3 September 2018. There is nothing new said here. The Ecumenical Patriarchate, as it stood in principle in the position that Ukraine historically and canonically was and is its canonical territory, continues to consistently stand on this. Therefore, the indignation of the representatives of the daughter Russian Church regarding the position of the Mother Church, the Ecumenical Patriarchate, is in vain on this point. And we hope that after a more in-depth study of this issue, such unjust indignation will go away. – Vladyka, with your help, we have made a useful excursion to the forgotten historical past. But in the end, how can the Ecumenical Patriarchate solve such a complicated and confused Ukrainian church problem in the current circumstances? Archbishop Job: Only through prayer, a dialogue of love, observance of the canons and the restoration of historical justice. It is necessary to explore and rethink the past, to get rid of artificial myths and distort the history, to correct the mistakes of the past, the violations of the canons, and turn to face the truth. For, as it is written in the Scriptures, only “the work of the truth will be peace” (Is. 32:17). In my personal conviction, in the current situation in Ukraine, only the provision of canonical autocephaly to the Orthodox Church in Ukraine can overcome the problems and divisions in it, reconcile, unite and withdraw the terrible crisis which has appeared in it over the last 30 years. And this would be a restoration of historical justice. There are still a lot of work ahead. We are still at the beginning of this great historical process, in the path of which there are still many obstacles. Dialogue is just beginning. Nothing rushed works. And there is a great responsibility and obligation on the part of the Mother Church, the Ecumenical Patriarchate. Once again, the Ecumenical Patriarchate is obligated to take all possible measures from it in accordance with its canonical prerogatives in order to ensure ecclesiastical unity and prevent the further remaining of millions of Orthodox Ukrainians outside the canonical Church. The role of the Ecumenical Patriarchate is to serve the unity of the entire Orthodox Church, and not just some of its parts. And since the Orthodox Church in Ukraine is now divided into several parts, the obligation of the Ecumenical Patriarchate, as Mother Church, through the launch of dialogue, is to find the optimal means of canonical economy and restore unity. It is for this purpose that the Holy Synod of the Ecumenical Patriarchate has sent its envoys (exarchs) to Ukraine, so that they, through frank dialogue with all parties to the conflict, can help them to understand and reach an agreement. It is impossible to divide the Body of Christ. It belongs to Christ, not to Moscow, Kiev or anyone else. There can be no Church of the “Russian world” or some other. The Ecumenical Church as the mystical Body of Christ has the right to belong to all who sincerely seek to be with Christ, regardless of national or political beliefs and preferences. It’s time to stop all those imperial political speculations and ambitions. The reality is that there are millions of Orthodox believers in Ukraine who will never go under Moscow. This is clear to everyone. And because of that, prevent them to unite with Christ, and to cut them and deprive them of salvation is not Christian, non-canonical. We must look for other acceptable ways to solve this problem, using ecclesial canons, economy and love. 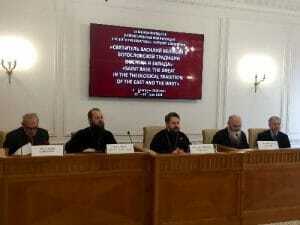 It is a pity that the representatives of the UOC (Moscow Patriarchate) are still abandoning the dialogue with representatives of the Ecumenical Patriarchate and with other parts of the Ukrainian Churches. Declarations to refuse such fraternal encounters and dialogue, blackmail with the eucharistic unity and the prohibition of concelebration with the hierarchs of the Ecumenical Patriarchate can only drive them into a deadlock and further aggravate their canonical position. I hope that this is only temporarily and that our brothers from the UOC of the Moscow Patriarchate will understand the mistake of this path and open their hearts to dialogue and fraternal unity in Christ. Similarly, the representatives of the other parts of the Ukrainian Churches, who for the various reasons are not in unity with the Universal Orthodoxy. After all, unity in Christ must be our most important goal. Christ Himself proclaimed: “That they all may be one, as You, Father, are in Me, and I in You; that they also may be one in Us, that the world may believe that You sent Me” (John 17:21). And “by this all will know that you are My disciples, if you have love for one another” (John 13:35). As His All-Holiness Ecumenical Patriarch Bartholomew said on this matter: “The Ecumenical Patriarchate is obliged to remind everyone of the cohesiveness and the universal nature of the Church, promoting the spirit of reconciliation, which overcomes conflicts and serves the unity of Orthodoxy.” I believe that dialogue is the only true way. After all, as the Holy Apostle Paul commanded, “there must also be factions among you, that those who are genuine may be recognized among you.” (1 Cor 11:19). And as Blessed Augustine wrote: “in essentials, unity; in doubtful matters, liberty; in all things, charity”. 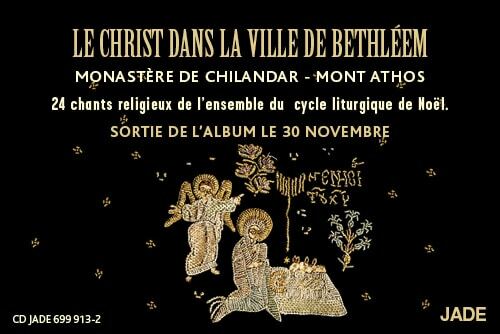 The largest portal of Orthodox pictures celebrated its 15th anniversary. Mother Maria Skobtsova Cultural Center will be officially presented on April 29 in Paris. 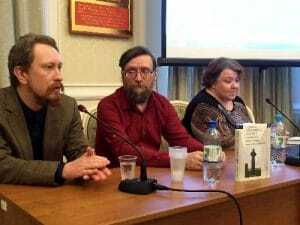 An international symposium was organized on Saint Basil the Great, on April 11-13, 2019 in Moscow.